At Integrated Medical Group, we take great pride in providing the finest chiropractic wellness care to our patients. Below is a sampling of the different services we offer in all three offices. We provide advanced spinal correction utilizing "state of the art" chiropractic techniques. Never in the history of chiropractic have we been able to provide the level of help and expertise that now exists. These newer correction methods are even safer, more comfortable and more effective than ever before. As a Doctor of Chiropractic, Dr. David Thayer has years of training and experience in spinal adjustment. Auriculotherapy (also known as Aricular therapy) treats pain and dysfunction in the body using precise acupuncture of the ear. On the ear are more than one hundred Acupoints which relate to various organ systems and parts of the body. During fetal development, the first structure to form is the brain and spinal cord. At the same time, what later becomes the external ear also develops.Stimulus is provided by needles, electrical impulses, lasers or Acu-Ear Staples. Acu-Ear Staples are medical staples made of surgical steel that are placed into the inner portion of the ear at specific Acupuncture points. The staple can be left in for up to a year. The staples are used for the treatment of weight control, smoking control, drug addictions, alcoholism, and stress. The staples have an 80% success rate. For example, with the weight loss staple, the average weight loss is 2 pounds per week, appetite and cravings are decreased and metabolism is stimulated. The stop smoking staple aids in the decrease of addiction to nicotine and withdrawal symptoms. Manipulation Under Anesthesia (MUA) is a procedure in which the patient is placed under "twilight" anesthesia. The chiropractor and an assistant then perform manipulations and stretches to the affected areas on the patient. These manipulations are much like those performed in the chriopractor's office with a fully conscious patient. The only difference is that, because of the anesthesia, the patient is fully relaxed. This makes the manipulations and stretches more effective because the patient is not tensing up with pain or fear. The manipulation procedure works by breaking up scar tissue and adhesions. As this tissue re-heals, the fibers will become more aligned, allowing for increased mobility and decreased pain. The MUA procedure itself is just the beginning to the healing process. Each patient will require 12-16 weeks of skilled physical therapy and chiropractic manipulations to ensure that the tissue affected by the procedure heals properly. Massage therapy may also be utilized to decrease pain and inflammation. Physical therapy will help maintain and even increase flexibility of the treated joints, increase muscle strength to stabilize treated areas, teach a home exercies program and use various techniques for pain control. Patient's home exercise programs must be completed daily to ensure proper healing. It is also advised that all MUA patients begin a cardiovascular exercise program for gentle aerobic conditioning. MUA can help those suffering from a chronic pain condition such as fibromyalgia, disc herniations/bulges, chronic sprains/strains, headaches, sciatica, failed surgeries and more. If more conservative treatment options have been tried and have failed, MUA may be an option to consider before resorting to surgery. The hCG diet is a weight loss protocol that has helped thousands of overweight people lose weight. A 500 calorie-a-day diet is combined with a minimal intake of hCG, a natural hormone. The result is significant loss of fat in a very short time. hCG (Human Chorionic Gonadotropin) is a natural hormone which we prescribe as a homeopathic medicine in liquid form. 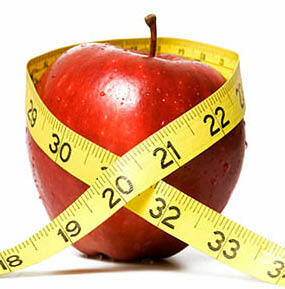 Please call our office to set up your consultation and begin your weight loss with the hCG Homeopathic Formula.